It takes a long for a new guitar to naturally break in. It can take decades for a new guitar to truly develop its tone and realize its full potential. As tonewood ages over multiple decades, its cellular structure goes through changes that make the guitar much more resonant, responsive, and alive. 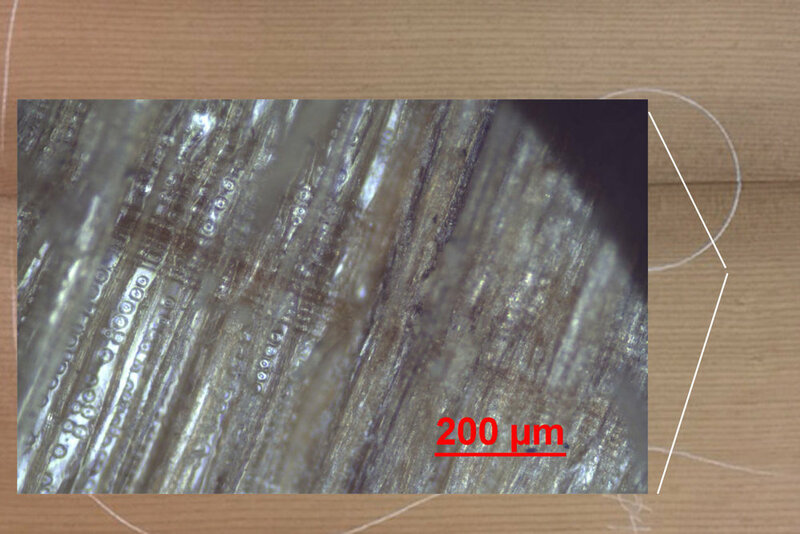 Torrefaction is a scientific process that results in changes to the cellular structure of the wood. It quickly turns new wood into what naturally takes decades, saving a lifetime of waiting for an instrument to finally get that aged tone. 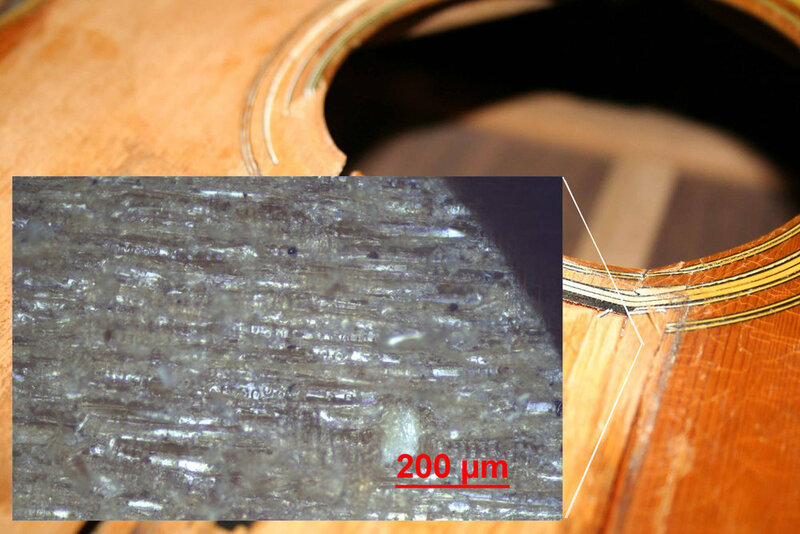 Using torrefied woods, is another one of the ways we are able to scientifically mimic what the natural aging process does for a guitar. This sample is from a 1937 Martin D-28. It gets a sheen from the closure of the cells where the water and sap was released over the decades of this instruments life span. The golden color and reflective shine that it gets from this process give it its amazing patina and indicate that the wood to be stiffer and lighter in weight. Two characteristics of amazing tonewood. This sample is from a new piece of Adirondack Spruce. It looks different than the other two!.. This sample is from a "new" Adirondack top that has been Torrefied. As it’s exposed to the Torrefaction process the cells close as the water and sap gets quickly released from the wood. It has gotten its beautiful golden-caramel color and reflective shine. Not only does Torrefaction change the outward appearance of the wood but it structurally causes the wood to be stiffer and lighter in weight. Two of the main contributors of amazing tone.